Below you can view all the townhouses for sale in the Seven Norcross subdivision located in Norcross Georgia. 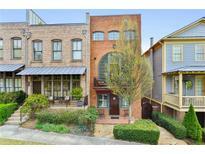 Listings in Seven Norcross are updated daily from data we receive from the Atlanta multiple listing service. To learn more about any of these townhouses or to receive custom notifications when a new property is listed for sale in Seven Norcross, give us a call at 404-998-4113. Sprinkler Sys, Elec Car Charger, Custom Cabinets, Epoxy Garage Floor. Will Consider Selling Furnished. MLS#6531288. Duffy Realty Of Atlanta. Private Terrace For Relaxing. Maintenance Free Living! MLS#6527124. Duffy Realty Of Atlanta. Elevator Shaft Already In Place.Great Location Walk To Downtown Norcross Shops &Restaurants!N'Bhd Ammenities Include Salt Water Pool, Cabana, Fire Pit, Parks. MLS#6525662. Re/Max Town And Country. 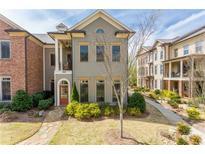 Park The Car In The 2 Car Garage & Walk To Downtown Norcross. MLS#6525153. Berkshire Hathaway Homeservices Georgia Properties. Chef'S Kitchen Features Stainless Steel Energy Star Appliances, Contrasting Backsplash & Custom Island MLS#6098213. Harry Norman Realtors. *Designer Finishes W/In Walking Distance To Historic Downtown Norcross Parks, Shops, Dining & Entertainment*3 Finished Levels Loaded W/Upgrades Standard*Fireside Family Room W/Painted Brick & Shiplap Surround*Kitchen With Large Granite Island, Custom Cabinets, Stainless Steel Appliances, Walk-In Pantry*Hardwood Floors Thru-Out Main Level*Master W/En Suite W/Dual Vanity*Tile & Granite In All Baths Standard*Lower Level W/Flex Space/Bonus Room, Bath & Mud Room*Rear Entry 2-Car Garage MLS#6065365. Re/Max Town And Country. Now Selling Highly Anticipated Final Phase At Introductory Special Pricing*Full Brick End Unit W/Rooftop Terrace Option Available*Designer Finishes W/In Walking Distance To Historic Downtown Norcross Parks, Shops, Dining & Entertainment*3 Finished Levels Loaded W/Upgrades Standard*Fireside Family Room W/Painted Brick & Shiplap Surround*Kitchen With Large Island, Custom Cabinets, Stainless Steel Appliances, Walk-In Pantry*Hardwood Floors Thru-Out Main*Master W/En Suite W/Dual Vanity*Tile & Granite In All Baths Standard*Lower Level W/Flex Space/Bonus Room, Bath & Mud Room*Rear Entry Garage MLS#6065274. Re/Max Town And Country. Now Selling Highly Anticipated Final Phase At Introductory Special Pricing*Designer Finishes W/In Walking Distance To Historic Downtown Norcross Parks, Shops, Dining & Entertainment*3 Finished Levels Loaded W/Upgrades Standard*Fireside Family Room W/Painted Brick & Shiplap Surround*Kitchen With Large Granite Island, Custom Cabinets, Stainless Steel Appliances & Walk-In Pantry*Hardwood Floors Thru-Out Main Level*Master W/En Suite W/Dual Vanity, Separate Shower & Tub*Tile & Granite In All Baths Standard*Lower Level W/Flex Space/Bonus Room, Full Bath & Mud Room*2-Car Rear Entry Garage MLS#6065376. Re/Max Town And Country.